We visited the Aleksandrovic Winery last week in Vinca, a small village next to Topola in Serbia’s Šumadija region. 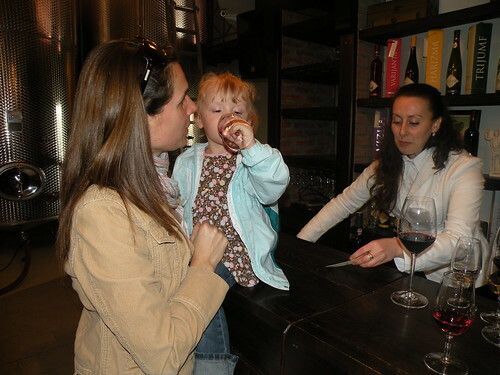 I have not been to too many wineries here in Serbia yet, but the cellar had the nicest facilities I have seen yet. There is a beautiful wine bar on the ground floor connected to a huge restaurant, and in the basement, there are many large oak barrels. They obviously have invested lots of money into the place. In their promotional video and website (link above), they tell the history of the winery. The name Vinca comes from the Latin (Roman) wine, as the area has been a place of wine production for a long time. The winery is located a the bottom of the Oplenac hill, the estate of King Petar I, that I blogged about yesterday. 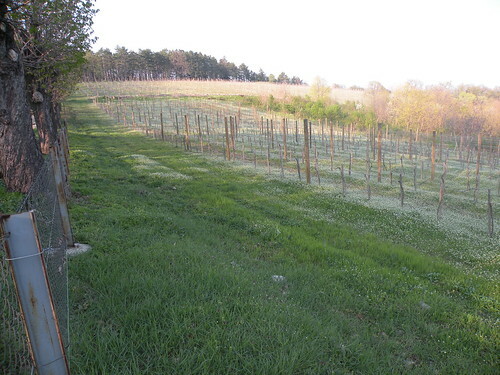 The Aleksandrovic family produced wine there for the Serbian royalty for over 100 years. The winery was abandoned after WWII during the communist era of Yugoslavia. The family began developing the winery again about 10 years ago. The signature wine of the cellar is “Triumph” a mix of Sauvignon Blanc, Pinot Blanc, and Riesling grape varieties. The recipe for that wine was sent from Canada by the former royal cellar master who fled the country after WWII. The winery is unusual in that they only most of their wines are mixtures of grape varieties. Even the few pure (100%) wines with only one variety, they give a name to them like Harizma (Chardonnay), Varijanta (Black Muscat), etc. The wines we sampled were all pretty good and we bought 4 bottles. They also have home delivery service which is an excellent idea. It takes about an hour to drive from Belgrade to the cellar.